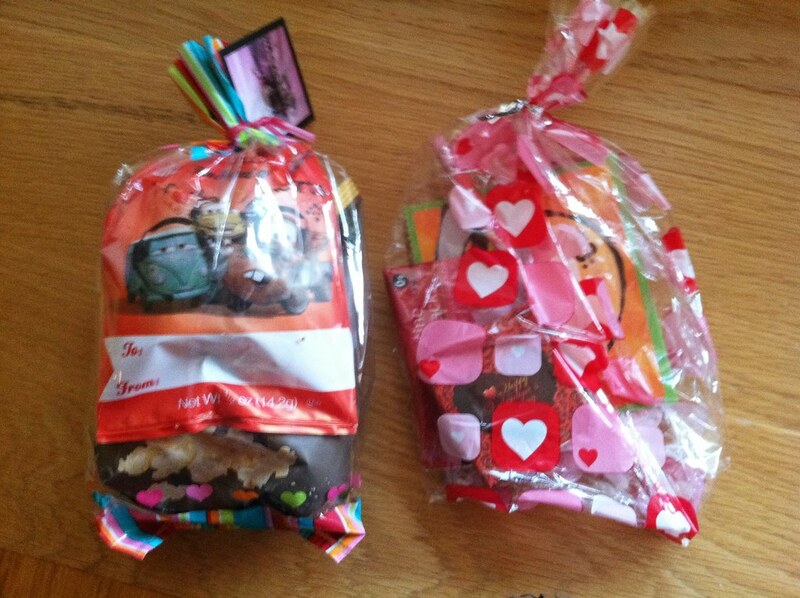 All of my kids had parties at school for Valentine’s Day, and all of them came home with some serious bags of candy. Apparently it is no longer acceptable to just send a small note of affection? I thought I was over-achieving by sending a lollipop, but about half of the bounty collected by the preschoolers involved bags with multiple snacks and assorted trinkets. This happened at Halloween, too. Gift bags . . . really? Is this a new thing or just an Orange County Montesseri tiger-mom thing? This is Pinterest’s fault, isn’t it? Anyways, I thought I’d share how we manage the influx of candy that comes in from various school parties and birthday celebrations, because I’m not a fan of unlimited candy binging or the fighting that ensues when one kid ends up with more candy than the other. I usually let the kids eat a couple pieces of their choice, and then all candy is dumped into a community "candy bin" that is kept high out of reach. We have always done this so they know the drill and don’t protest all that much. The candy bin is off limits except for once a day, when they get a chance to earn a piece after dinner if they’ve eaten everything on their plate. This works well for us because it minimizes bickering and bartering over candy, and it also is a really good incentive for them to finish off their veggies. When we don’t have Halloween or other candy we are working off of, I keep a stash of jellybeans that they can earn. Did your kids come home with copious amounts of candy? 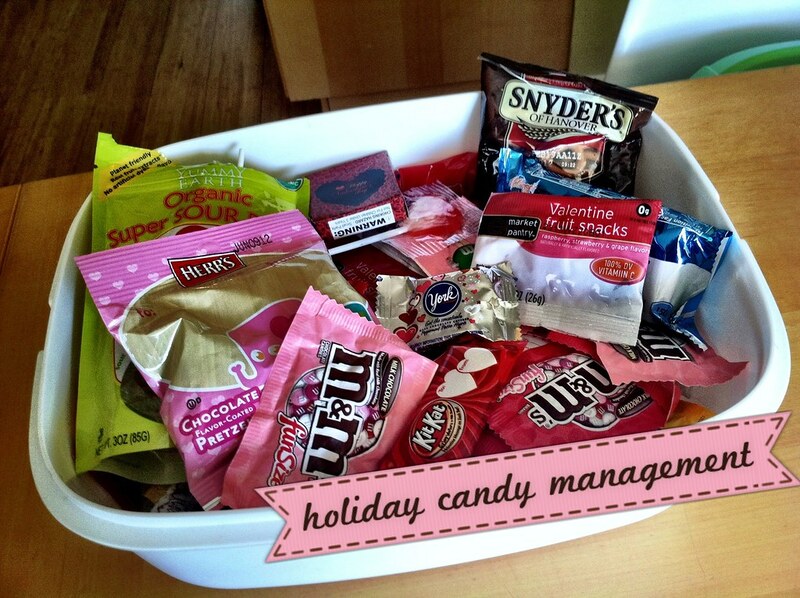 What is your candy management strategy? Do you let them just go for it, or do you have a way of rationing it out? And has anyone come up with a way to avoid so much candy coming home? It seems like we have a constant stream of it and I’m not sure how to stop it at the source without a mutiny.